Customarily the Christmas Carol Sing Along and the Christmas Carol Service are well attended if not over-scribed. The same was true this Christmas. On this occasion, both events seemed particularly special. At the Sing Along hot Gluhwein and Stollen were served giving a Christmassy feel. 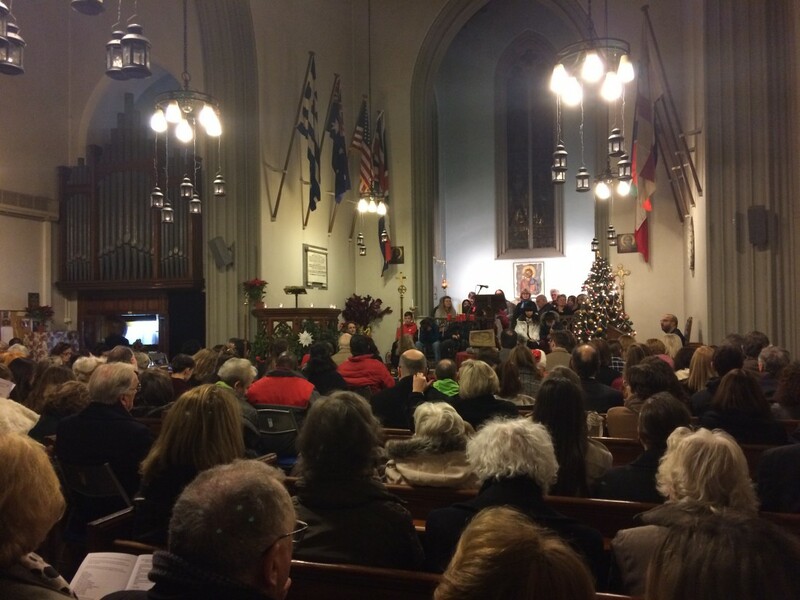 At the Christmas Carol Service Mr Andrew Staunton, Charge d’Affaires at the British Embassy joined the congregation as did Sir and Lady Madden, a former Ambassador to Athens. 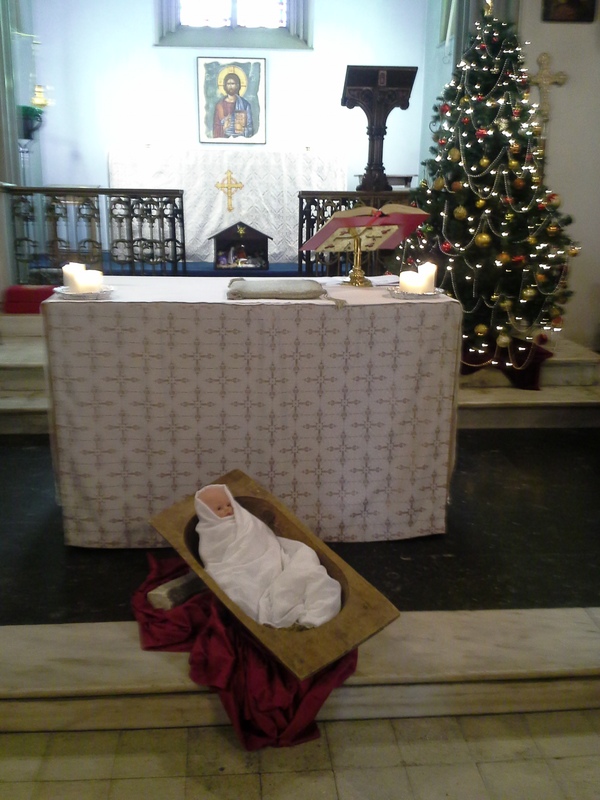 During the service a Christchild was placed in what is a wooden traditional bread-making bowel. Why? The name Bethlehem means the ‘House of Bread’; later Jesus is described as being ‘The Bread of Life’. The Midnight Mass had the greatest attendance for many a year and proved to be an atmospheric service. On Christmas morning St Paul’s was comfortably full. In the sermon slot, the Rev’d Deacon Christine Saccali spoke with the children. She had chocolates covered in silver foil made to look like brussel sprouts, a Christmas cake or pudding. She then commented that things are not necessarily as they first appear. What looked like a brussel sprout or a Christmas cake was, in fact, chocolate. She then made a comparison with what the Shepherds and Magi discovered in Bethlehem. They discerned in the babe born in Bethlehem something that others missed. The carol, ‘Hark the Herald Angels sing’ captures marvelously what it is that they discovered; ‘Veiled in flesh the Godhead see, hail the incarnate Deity! 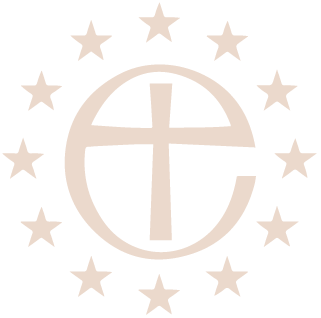 Pleased as man with man to dwell, Jesus our Emmanuel’.